Courtesy of Coldwell Banker Village Prop, Abby Elston. Single story corner lot near the end of the cul de sac in Pepper Tree Park. Bright open floor plan with high ceilings. Master suite separated from the other bedrooms (4th bedroom is perfect for office). Pool sized back yard. Neighborhood has private spacious park with b-b-ques, sports court, play grounds and plenty of room to walk and play on large grassy areas. And if you want more just walk over to Los Jilgueros Preserve which boasts 46 acres with over 2 miles of trails through fields and trees. Please, send me more information on this property: MLS# 190020166 – $629,000 – 2126 Stone Castle, Fallbrook, CA 92028. I would like to schedule a showing appointment for this property: MLS# 190020166 – $629,000 – 2126 Stone Castle, Fallbrook, CA 92028. © 2019 Janine Hall Website. All Rights Reserved. Real Estate Website Design powered by Home Junction. 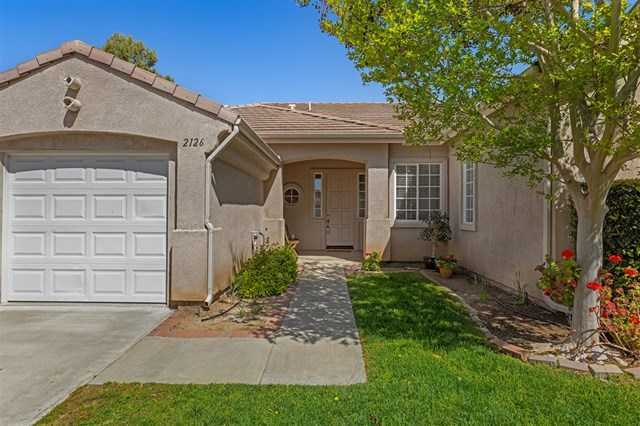 Based on information from California Regional Multiple Listing Service, Inc. as of April 22, 2019 12:01 and/or other sources. All data, including all measurements and calculations of area, is obtained from various sources and has not been, and will not be, verified by broker or MLS. All information should be independently reviewed and verified for accuracy. Properties may or may not be listed by the office/agent presenting the information.